Shipments consist of our award-winning Estate, Small Lot and District wines. You will receive three bottles per shipment, which are sent in February, May, September and November. Winery selection shipments normally include one white wine and two red wines. One white and two red wines shipped to your door four times per year at a 20% savings. A unique opportunity to receive three exclusive library wines from our collection shipped to your door four times per year at a 20% savings. Fleur de Lys Club Members receive automatic shipments of our flagship, limited-production and vineyard-designate wines four times per year – in February, May, September and November. Shipments are pre-selected based on your preference of Mixed Selection, Red wines only or Pinot Noir only. DeLoach Case Club Members enjoy individually customized shipments twice a year – in May and November. Shipments include a case (12 bottles) of wine that you select at 30% off the retail price, twice a year – in May and November. For the Pinot Noir connoisseur! 3 bottles of our award-winning Pinot Noirs, shipped to your door four times per year with a 20% savings. For the red wine lover! 3 bottles of our finest Pinot Noir and Zinfandel, shipped to your door four times per year with a 20% savings. Variety is the spice of life! One white and two red wines, shipped to your door four times per year with a 20% savings. Let your palate explore one of the most sought after wine regions in the world with The Buena Vista Count’s Club. The Count’s Club is an exciting and educational wine tasting experience that gives you the opportunity to enjoy the finest, hand-crafted Buena Vista wines delivered directly to your home or office, or picked up at our historic tasting room. Our Count’s Club offers shipments of three to four bottles of wine shipped to your door five times per year – February, April (optional), May, September and November – at a 20% savings. You may choose to receive a mixture of white and red wines or red wines only! Shipments include wines from our limited production Vinicultural Society, Heritage Collection and Private Reserve tiers. Customize your own 12 bottle or more Count’s Club shipment! Select your favorite Buena Vista wines at a 30% savings, twice per year in May and November. You may also opt to receive the pre-selected 12-bottle shipment and let us choose for you! Price varies based on wine selection. 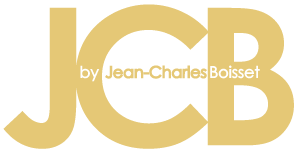 Our most privileged membership experience - JCB Collectors secure access to the most allocated & prized wines of the JCB Collection, including No 1 & No 10 Cabernet Sauvignon, No 3 Pinot Noir and The Surrealist by JCB, through an automatic, recurring futures reservation. JCB Connoisseurs receive access to limited JCB wines through an automatic, recurring shipment delivered to your door four times per year – in February, May, September and November. Enjoy some of the most respectable purveyors of cheese, caviar, jamón ibérico and more. Atelier by JCB memberships: Gourmand, Caviar and Fromage. Whether treating yourself or someone else, the Atelier by JCB Fromage membership provides three to four exquisite hand-selected, artisan cheeses shipped each quarter. The cheeses are accompanied by tasting notes, cheese descriptions and expert wine pairing suggestions. The Atelier Caviar membership offers you exclusive access into the world of caviar. This unique experience allows members to discover the finest caviar at the height of flavor and texture, along with tasting notes and expert pairing suggestions. The Atelier Gourmand membership is a must for the adventurous epicurean. Your curated culinary adventure will include hand-selected artisanal delights from the finest food purveyors in the world with your choice of 5 item or 10 item shipments.